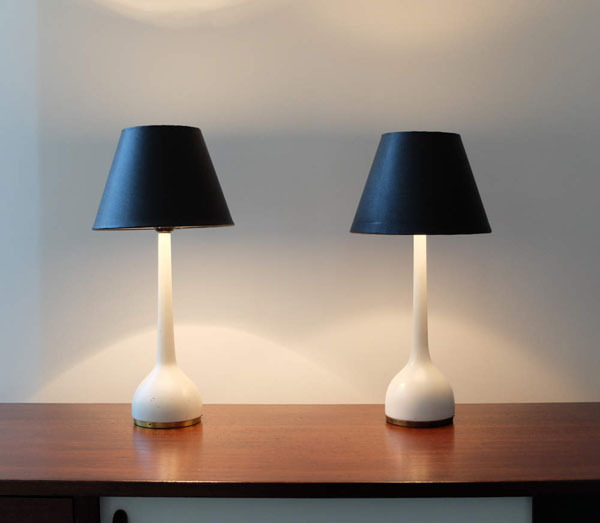 Table lamps designed in the sixties by Hans-Agne Jakobsson. 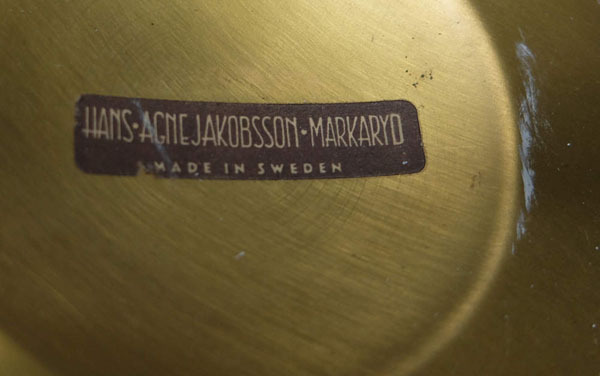 Manufactured by Hans Agne Jakobsson, Markaryd in Sweden. 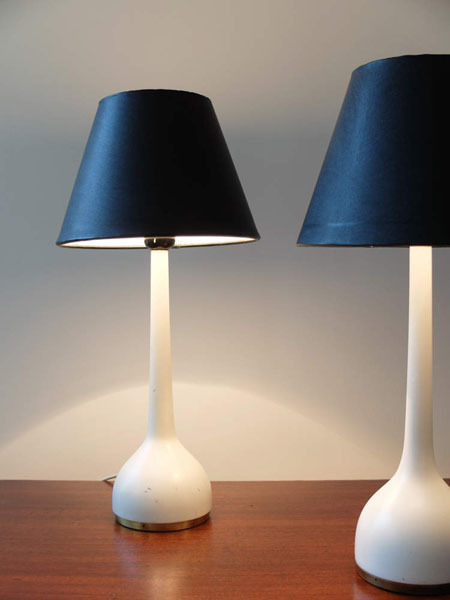 Wooden base painted white with brass accent, new lampshades. 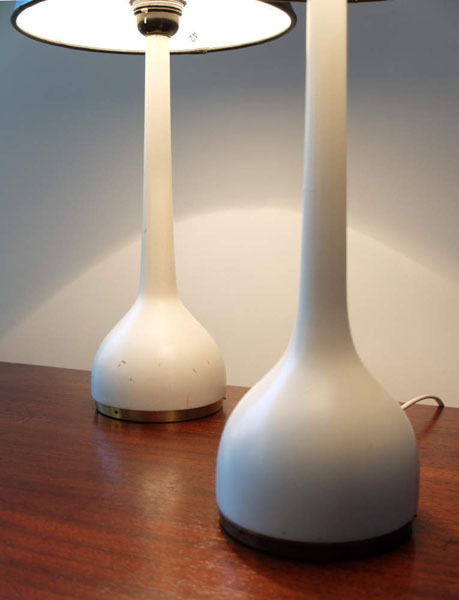 Manufacturer: Hans Agne Jakobsson, Markaryd Dimensions: height 45 cm with lampshade; diameter 22 cm. 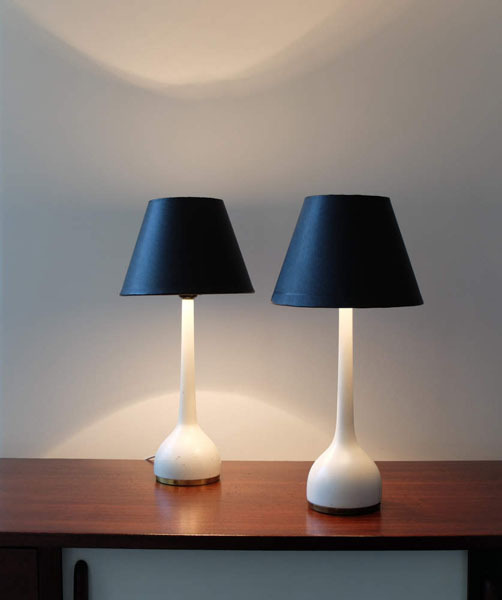 Height lampshade,16cm. Labeled. Nice state, a few scratches on the bases. Minimum price for the offer must be greater than 350% of the Product. Original 60s shells, beautiful patina, no deep claws, no cracks. Off-white color. The base is a recent reissue, Dowel base walnut. Dimensions :H.82cm x W.47cm x D.47cm. Herman Miller DCM First generation chair 1953-1954. 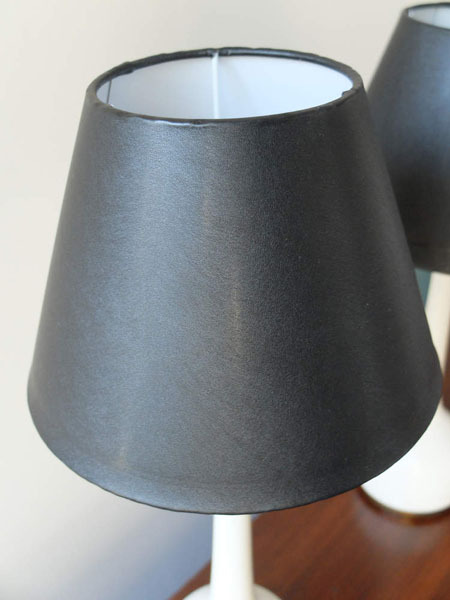 Solid plain metal frame with domes of silence glides, specific for the early chairs. Seat and back re-veneered in Ash wood. Seat height 41-45cm.